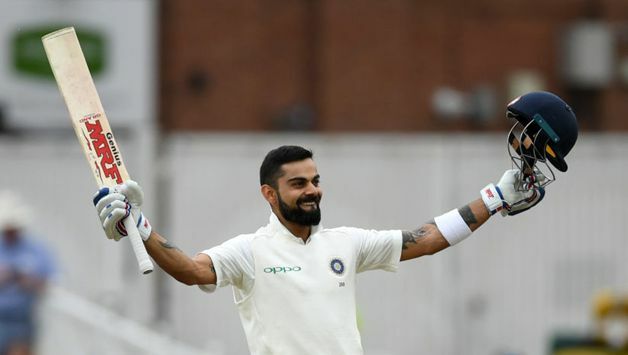 After a torrid 2014 season, that saw Kohli score just 134 runs in ten innings, the 29-year-old had a lot to prove this time around and it is fair to say that he has done with 440 runs in six innings in the series so far. 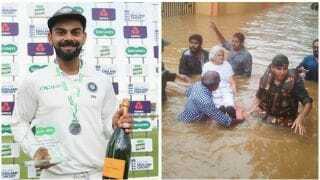 With a match aggregate of 200 runs in the third Test against England at Trent Bridge, Nottingham, Indian skipper Virat Kohli walked away with Man-of-the-Match award – for a sixth time as captain in Tests. India head coach Ravi Shastri, who was visibly elated with India’s 203-run win to make the series 1-2 with two more matches to go, termed the win clinical and praised Kohli for his performance. After a torrid 2014 season, that saw Kohli score just 134 runs in ten innings, the 29-year-old had a lot to prove this time around and it is fair to say that he has done with 440 runs in six innings in the series so far. However, Shastri assured that Kohli is not done yet. “He is very passionate about the game. He loves batting, he loves to do the hard yards. I promise you, he will forget these two innings now and take guard again as if he hadn’t scored a run in the series,” he said. “We want to win away from home. I think this side can be the best travelling side in the world. We have won a Test match, not yet won the series but we there are two Test matches to go. We’ll be thinking in that fashion,”added the 56-year-old. 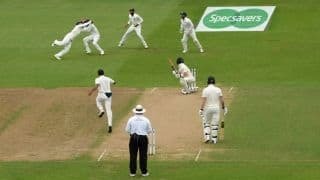 The fourth Test begins August 30 at the Ageas Bowl, Southampton.